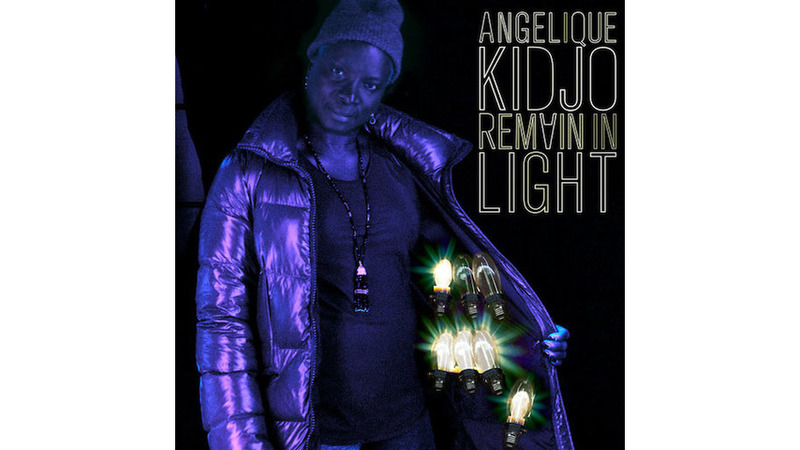 There is something supremely satisfying about Angelique Kidjo’s reimagining of Talking Heads’ Remain in Light, both in concept and execution. On the surface, it is simply one great artist—a giant and innovator of Afropop—paying tribute to one of new wave’s foundational bands. But it is also a response, almost 40 years later, from one of African music’s foremost living representatives to a landmark album deeply indebted to Afrobeat rhythms, and it has to be listened to as such. One of the things that makes the album so satisfying is that it reverses the usual direction of borrowing, reinterpretation and the receipt of accolades for the same. It reverses the gaze of the global north, treating us to the adventure of Benin-born Kidjo exploring the Africa of Talking Heads and Remain in Light producer Brian Eno’s imagination. With assistance from Jeff Bhasker, who has produced for Kanye West, Drake and Rihanna, each song is completely redesigned. That the freaked-out polyrhythmic new-wave trip of Remain in Light was inspired in part by Fela Kuti’s Afrobeat would not be immediately obvious to every listener. But, to her credit, as Kidjo told Rolling Stone, she recognized the African bones in the album’s left-field grooves the first time she heard it many years ago. In making this record, she and her all-star crew (including Devonté Hynes, Vampire Weekend’s Ezra Koenig and Fela’s drummer and musical director Tony Allen) excavate its skeletal polyrhythms, put new instrumental flesh (both acoustic and electronic, traditional and modern) on them and repatriate them. In some cases, the beats have been tinkered with to the point of being unrecognizable, which is a delight, and new lyrics, some of them in African languages such as the Beninese language Fon, have been introduced. “Once in a Lifetime,” with its playful horns and piles of polyrhythms, is especially gratifying, as it would have to be. It builds on the ecstatic existential wonder of the original and cleverly reinvents it as a bubbly Afro-Jazz workout, one that creates space for toying with the words and releases the tension of the original into the stratosphere. Most of the songs on the album have a buoyancy that surpasses the originals. In many cases, this follows naturally from the use of heavier and hotter rhythm parts, as on the boiling “Crosseyed and Painless.” The spidery, skittering funk of “The Great Curve” puts on weight and rolls with greater fluidity, until the song seems to “move on a woman’s hips,” as the lyrics say, making it more solidly an homage to the divine feminine. In every case, the main factor is Kidjo’s seasoned vocals, world-class instrument and effulgent personality. Where Byrne’s emotive spectrum on Remain in Light ranges from anxious to deadpan and detached, Kidjo pours a rainbow of emotion, conviction and new layers of meaning into the original’s evocative, blank verse lyrics. She makes these often free-associative words into her stories, into African stories. “Born Under Punches” takes on a theme of government corruption when the backup singers call out “Don’t play with fire” in Fon. The original version of “Listening Wind,” which tells the story of Mojique, a young man angry at the foreigners flooding into his country who fights back by setting bombs in a “free trade zone,” is haunted and tinged with anger. But in Kidjo’s hands it becomes charged with shivery power and electricity. She conjures a storm just with her voice. One of the record’s most stunning moments is when Kidjo interpolates Fela’s famous “She go say, I be lady o” refrain from “Lady,” which she has previously covered, into “Crosseyed and Painless.” It’s an almost postmodern move, bringing in a bit of Remain In Light’s inspiration to further elucidate the debt that the album owes to the taut, muscular jams emerging from Africa. It’s something more and better even than a magnanimous tip of the hat. Like Talking Heads in 1980, Kidjo is faithfully following her muse in search of transcendence. Here she’s found a rich source of it, like water flowing underground.